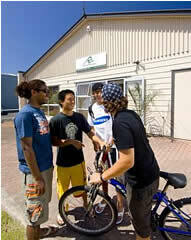 "Welcome to Mount Maunganui, where we treat all students like a member of our own family. Here you can improve your English in small group lessons while making friends from around the world, and after class relax on our beautiful white sand beach. Since 1990 we have helped thousands of students improve their English, and we look forward to helping you too."